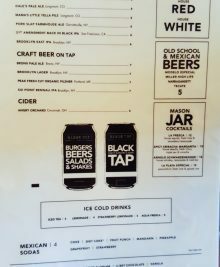 Black Tap Craft Burgers and Beer is located in New York City, known for their burgers and their over-the-top milkshakes which have been all over Instagram. I couldn’t resist dining here during my trip to NYC last month. 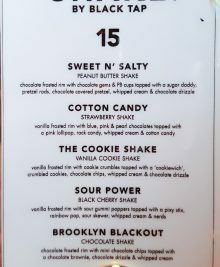 Here is a preview of one those milkshakes. Crazy right? 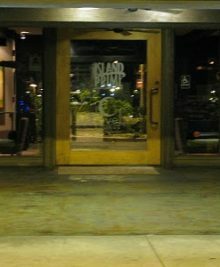 The restaurant has two locations and we opted for the newer and slightly less busy one. Still, there was a huge line outside (I didn’t take photos of the front because it was constantly being blocked by faces). We waited a little over 30 minutes before getting seats at the bar inside. We ordered our burgers and milkshake at the same time, but they bring the milkshake out at the end of your meal. 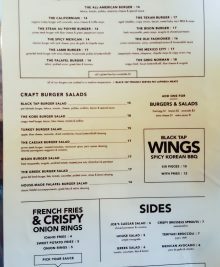 While the buzz has recently been about their milkshakes, they are also known for their burgers and I was not disappointed. The beef patty was soft, juicy, with all the meat flavors still locked in. It wasn’t overly seasoned or overpowered with other ingredients. 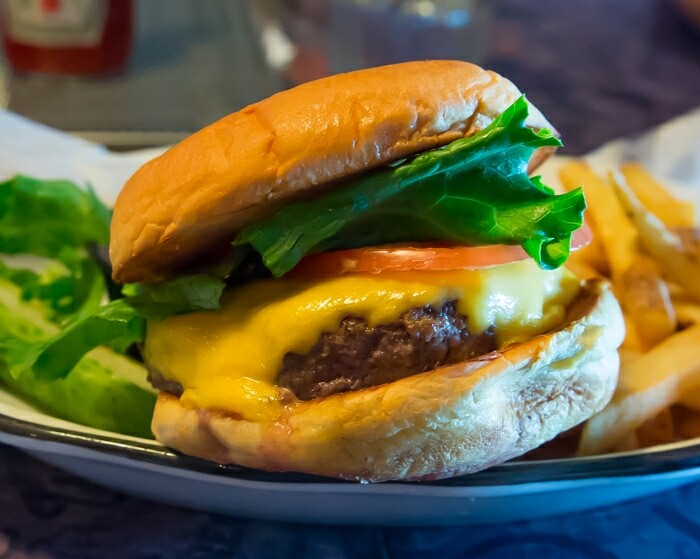 It was just a classic, simple burger, done very well. 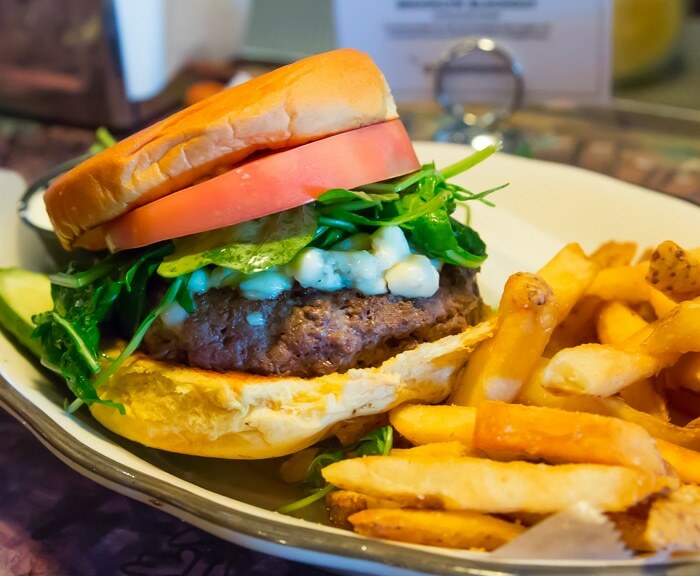 Mr. K chose a slightly more gourmet burger, with wagyu beef patty, arugula, and blue cheese. I have an aversion to blue cheese so I wasn’t as much of a fan of this one. While the patty was quite flavorful, I was just as satisfied with my non-wagyu beef patty. While I really wanted to try more than one shake, I knew there was no way we could finish two, so we decided to share this one. It’s a vanilla cookie flavored shake. The rim of the glass is dipped in vanilla frosting and rolled in cookie crumbles. It’s topped with a small cookie ice cream sandwich, whipped cream, more cookie crumbles, chocolate chips and chocolate drizzle. The people next to us were really nice and let me take a few photos of their shake, which was the other one I was thinking of ordering. It starts with a strawberry shake, with a vanilla frosted rim covered in pink & pearl chocolates. 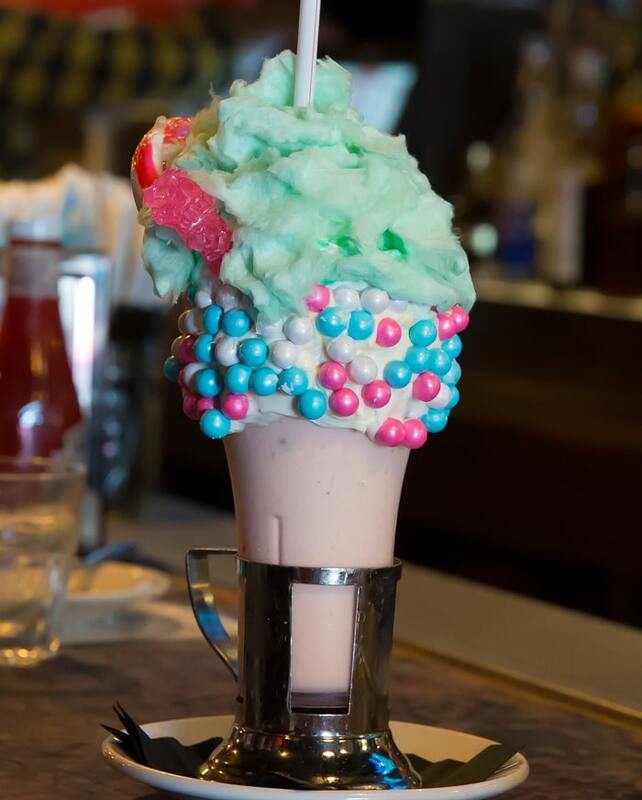 It’s topped with cotton candy, rock candy, whipped cream and a lollipop. Overall, we had a good visit here. I really enjoyed the burgers. 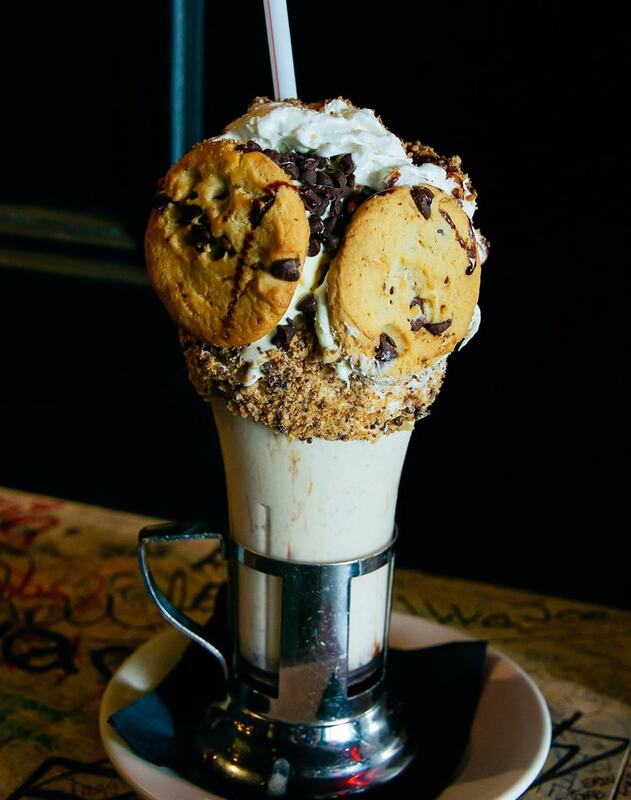 While the milkshakes taste good, they are more about looks than taste. 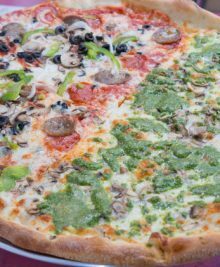 But if you’ve endured the wait to get in, you might as well order one!